Sitting on the banks of the Black Warrior River is the city of Tuscaloosa, originally the capital of the state of Alabama, it is the fifth biggest city in the state and a hub for education and sports. The University of Alabama has its home in Tuscaloosa and the city leaders came up with the moniker “The City of Champions” due to the continuing success that the Crimson Tide football team brings to the great city. 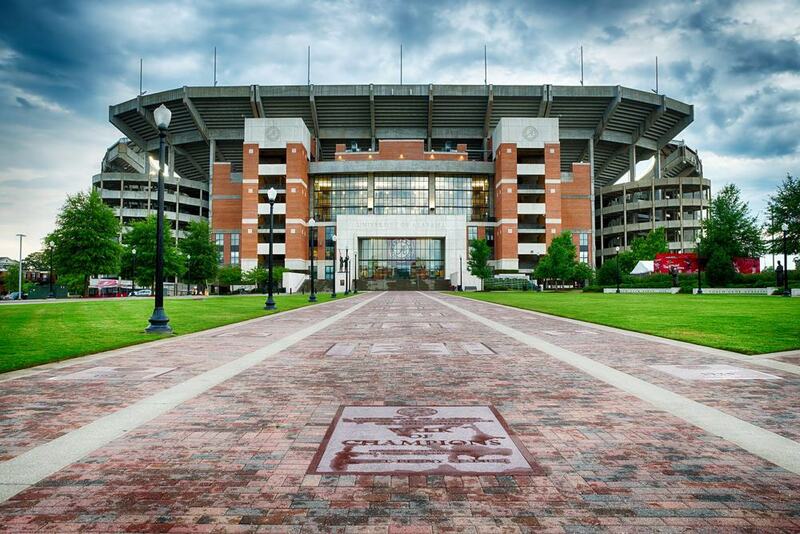 With so much to get involved in lets jump straight into the top fifteen things to do in Tuscaloosa. The Bryant-Denny Stadium is one of the greatest college football stadiums in the Country, with a capacity of over 101,000. The stadium is the 8th biggest in the United States and the 10th biggest in the world. It has an electric atmosphere and a deafening volume when the home supporters are cheering on the University of Alabama Crimson Tide football team. Opened in 1929 with just a capacity of about 12,000 the stadium has seen huge expansion over the years to get it to the size that it is today. When in town be sure to look up the fixture list to make sure you catch a game.